Happy shop hopping to you! How are you on this beautiful Friday? The craziness of Shop Hop has begun! Day 1 was a success and we are ready for the weekend fun! Have you started on your April UFO project?? 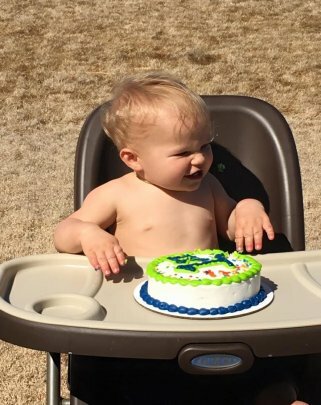 UFO numbers for April...1 & 4! Don't forget to share your progress with us on social media. Are we on your shop hop route? Stop anytime between now and April 16th to get your passport stamped! You could win a great prize! 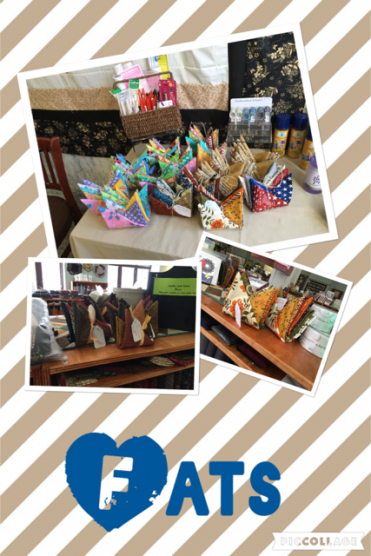 So far the ladies are loving this fun little project from the western shops! Check it out! April 23rd: Woolie Saturday - date change!! Are you in on the apron trend?? More and more ladies are sewing up these cuties! 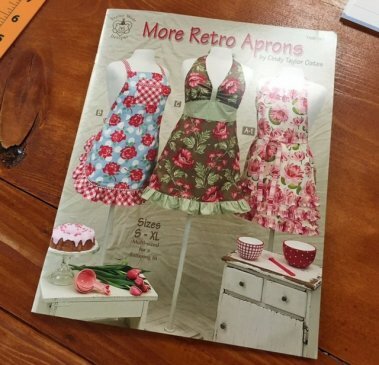 Check out this NEW book More Retro Aprons! Make 6 multi-sized aprons today! 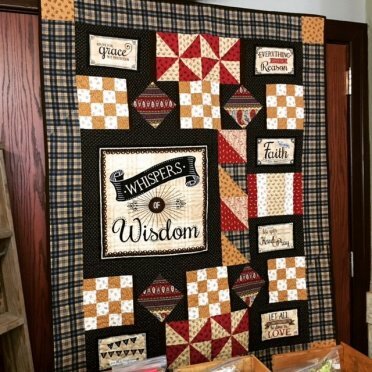 Whisper of Wisdom is up! 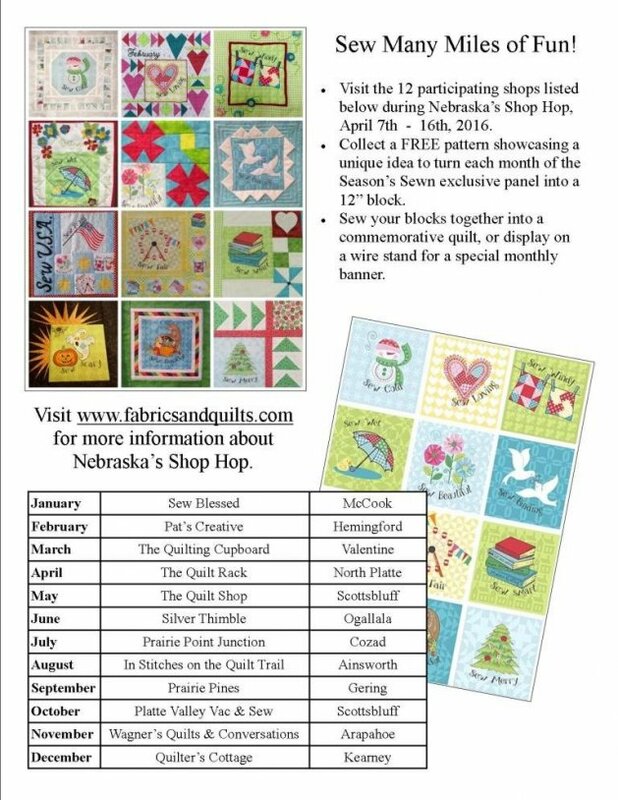 Stop in and see it and all the NEW samples we have hanging!